​ “To recall means to transform” is a sculpture - interaction piece that engages with a statue, in the form of partially covering it with a geometrical polygon-pattern made out of paper. It took place this March at Athens Numismatic Museum and was structured as a performance that lasted for four days (16-19 March 2017). This process of transformation is at the core of this performance-sculptural installation as it gradually and in real time spreads on the body of the statue like a virus. Using paper folding techniques that originate from single sheets of paper the multi-faceted three- dimensional structures were designed as modules. The structures partially cover the statue in nexus forms, similar to the ones used in 3d computer technology, exploring the intersection of art, history and technology. 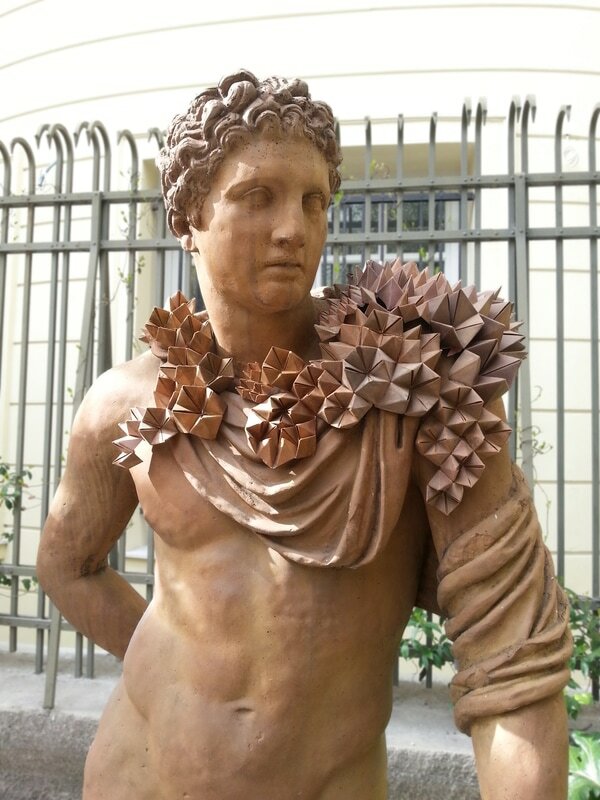 In this form of intervention the paper modules cover part of the statue, acting as a second, 21st century skin. 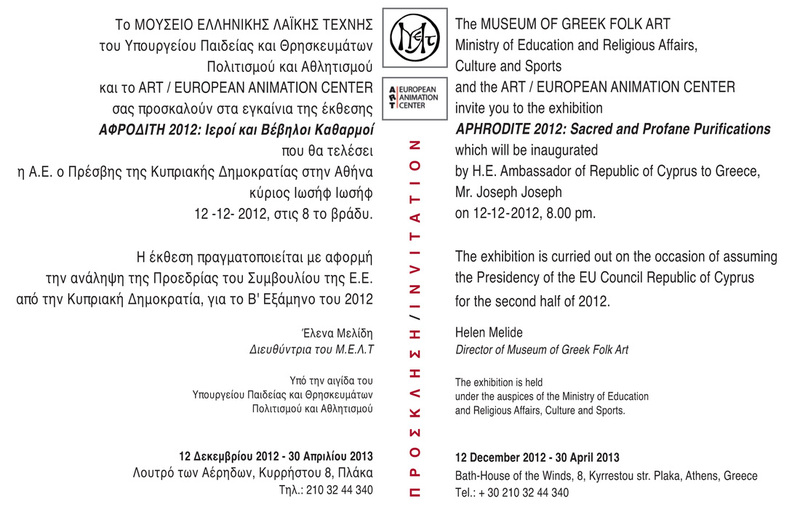 The whole process invites the public or the museum goers to watch the reconstruction of the ancient body. This intervention is about our relationship with memory and history, the transformation of the past, the distance between the ancient culture and today’s reality, the legacy of our ancient heritage and how we manage it in a historical, political and technological context. "Paper: Exploring the transition from two to three dimensions"
I will be teaching a new series of 9 workshops about paper and paper techniques at the Benaki museum, Athens, Greece, starting 28/03/14. * Photography by Giorgos Vitsaropoulos. image courtesy of the Benaki Museum Shop. I will be giving a talk about paper and its history, titled "Unfolding the history of paper through art", this Saturday 8/3/14, at the Benaki Museum at Coumpari Street. "Unfolding the history of paper through art"
Paper is a fascinating and multifaceted medium, embracing many forms of the visual arts, expanding from sculpture and architecture to fashion and jewelry. The presentation will focus on the ways that paper has evolved through the years. Probably one of the most widely used materials in the world, it has a rich, colorful history which has spanned the world's geography and its cultures. To trace its development from the art of the East and the Japanese origami -in relation to the Greek tradition -to the technological evolution of the 21st century offers us an insight into paper’s amazing, creative possibilities. Due to overwhelming success the 2012 Paper Biennial Rijswijk will be extended in Museum Rijswijk to 13 January 2013. Georgia Gremouti participates in this group exhibition with her work:"Seen/Unseen", a paper installation.